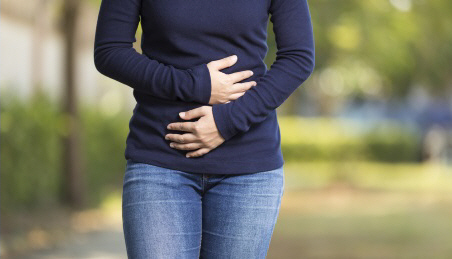 Long-lasting, or chronic, pelvic pain is pain that has lasted for three months or more. It can be distressing and exhausting, and have a huge impact on your life. It can also be very frustrating, as there is often not one simple cause, or a cause can't be found. But even if a cause can't be found the pain is still real. What causes long-lasting pelvic pain? Your GP is likely to examine your tummy (abdomen) and do an internal (vaginal) examination to see if they can find a cause for the pain. Based on what they find they may ask for a urine sample to find out if you have a urine infection, and you might need swabs to check for sexually transmitted infections.You need a blood test to check for infection and may also be sent for an ultrasound scan. Occasionally some women with long-lasting pelvic pain will have keyhole surgery (a laparoscopy) to look for the cause of pain. If this is appropriate for you, you will be referred to a specialist (gynaecologist). You may also be referred to a gynaecologist to carry out further investigations. You may choose to see a private gynaecologist, a physiotherapist specialising in pelvic problems, or a psychologist. What is the treatment for long-lasting pelvic pain? Once you have had pain for more than three to six months it is unlikely that any one treatment will make it go away completely. If a cause for your pain is found, doctors will treat that cause. But if doctors can't find a cause, treatment will focus on finding ways for you to deal with the pain so that it doesn't have such a big impact on your life. The video Understanding pain (what to do about it in less than five minutes) explains some of things you can do to reduce the impact of pain on your life. In this TED video paediatric anaesthesiologist Elliot Krane explains the "positive feedback loop" of chronic pain, and what it feels like for sufferers. A page about the different causes of pelvic pain and the treatments available. This page explains how chronic pelvic pain can develop and the effect it can have on your life. Written by HealthInfo clinical advisers. Endorsed by clinical director Obstetrics & Gynaecology, Canterbury DHB. Last reviewed January 2017.